Surveys conducted in Florida, Arizona and Indiana indicate all three Senate races in these states to be neck and neck just nine days before the midterm elections. It’s anyone’s game in three key Senate races, where the outcomes could decide which party controls the upper chamber of Congress, according to a CBS-YouGov poll released Sunday. Republican challenger Mike Braun leads Indiana Democratic Sen. Joe Donnelly, 46 percent to 43 percent. In Arizona, GOP Rep. Martha McSally trails Democratic Rep. Kyrsten Sinema, 44 percent to 47 percent. In Florida, Democratic Sen. Bill Nelson is tied with Republican Gov. Rick Scott, with both candidates polling at 46 percent. The surveys were conducted between Oct. 23-26 among likely voters, with all three being within the margin of error. The latest survey comes as welcome news for Braun, a former Republican state lawmaker who had previously trailed Donnelly in most of the recent polls out of Indiana. Donnelly led in three separate surveys earlier in October. 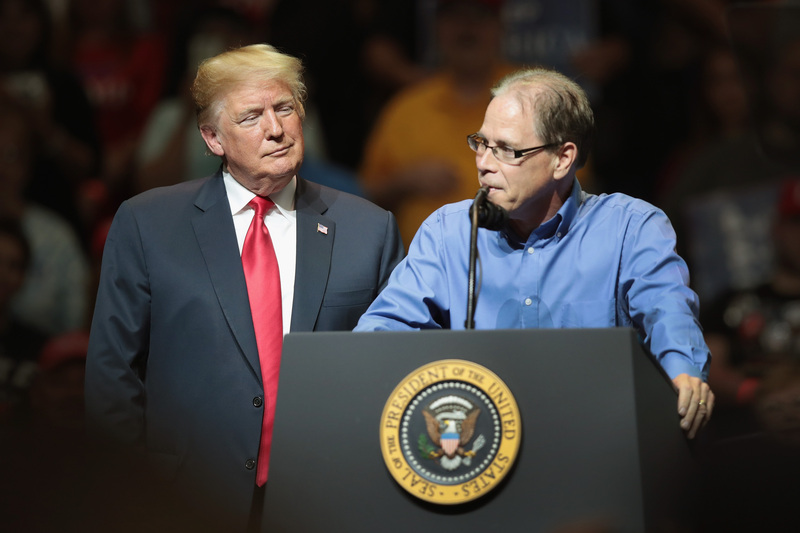 However, Braun has since closed the gap and surpassed the Democratic senator, leading in the latest two polls. FiveThirtyEight, a polling aggregate and election website, gives the Republican Party a 5 in 6 chance of retaining control of the Senate.